Hot stone massage is a favorite of clients at many spas and salons. 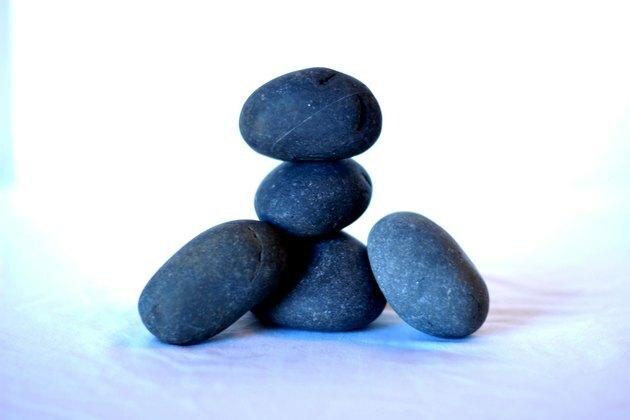 Believed to date back to the ancient Egyptians, hot stone massage is usually done with smooth basalt. Some massage therapists use oil for hot stone massages and some do not. Many places sell home massage kits that feature smooth stones, fragrant oils and detailed instructions. Giving hot stone massages at home is not difficult as long as you make sure the stones do not get too hot. If you can handle them easily, they are probably a good temperature for adult skin. 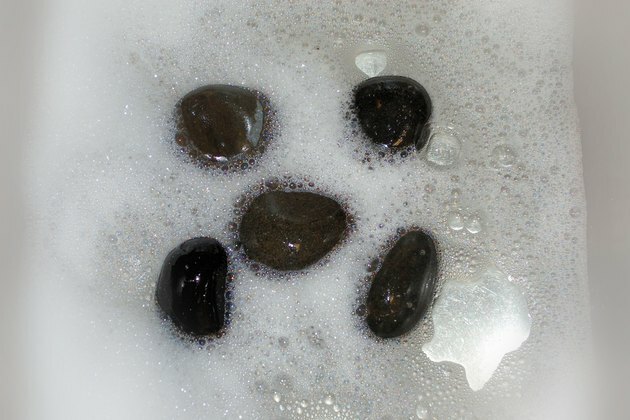 Wash your massage stones thoroughly in a basin or sink full of water and 3 to 4 healthy squirts of antibacterial soap. Rinse them well. 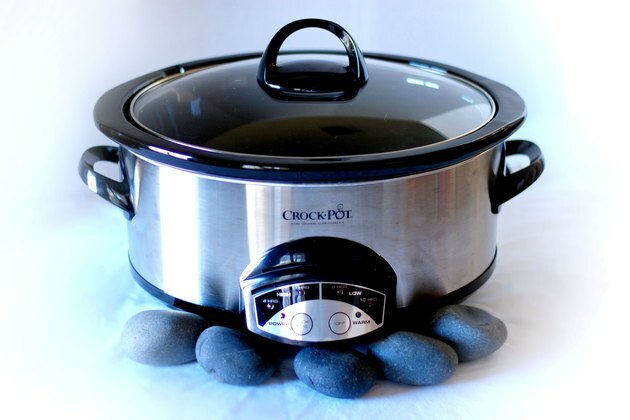 Place the stones in an electric slow-cooker or deep saucepan and fill it the rest of the way with water. Turn the heat to low, and let the stones warm up for at least 30 minutes. The stones should be no hotter than 125 degrees Fahrenheit, or they will be too hot for you to handle, and will burn the person you are massaging. Have your person lie face down on a table or bed. They should be naked or wearing thin undergarments. Cover them with a clean sheet or towel for modesty and to keep them from getting cold. Put warm stones on his neck, shoulders and lower back. Let them sit for 2 to 3 minutes and then massage the large muscles of his back, finishing with the largest stone. Have your subject turn over, and do his front side the same way you did his back.